A vibrant Celtic border cast against a black background illuminates a colorful Pagan Wheel of the Year. Each beautiful tapestry is meticulously hand crafted from 100% cotton. 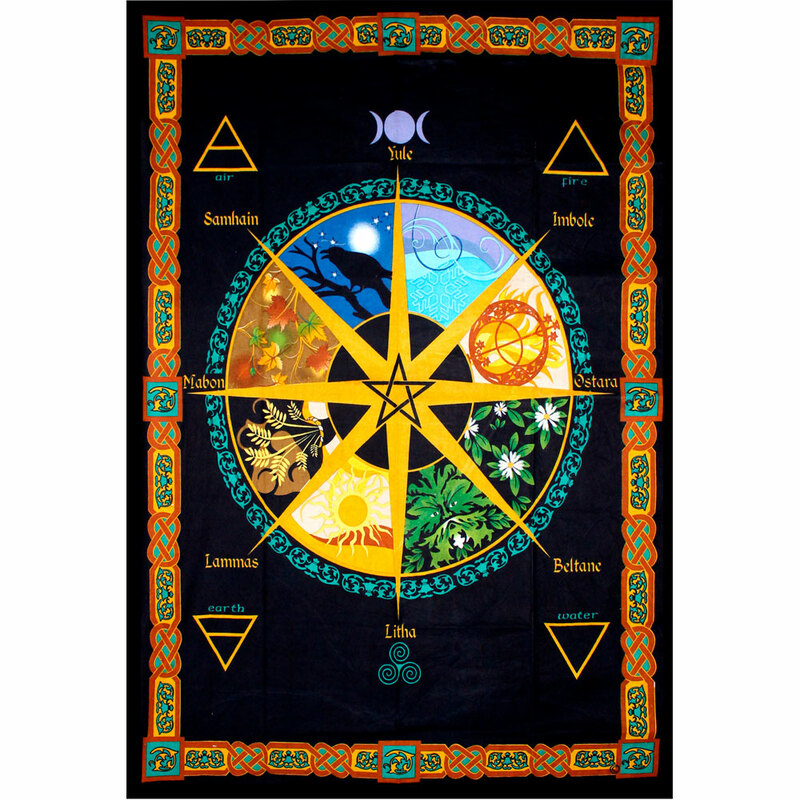 Tapestries can be hung on the wall, used as tablecloth, blanket, curtain, or as a focal point for meditation.